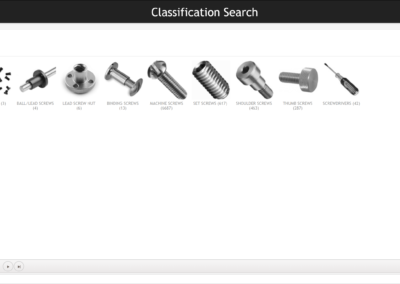 While we were getting ready to set up our plm system, we built an interim classification search system. Since this was a home grown system, we had to architect the both the administration side and user interface side. Lam wanted to get real time classification up and rolling as soon as possible. Because it was an interim solution, there were conflicts on what should be accomplished. The system was going to be used before all the parts were loaded. 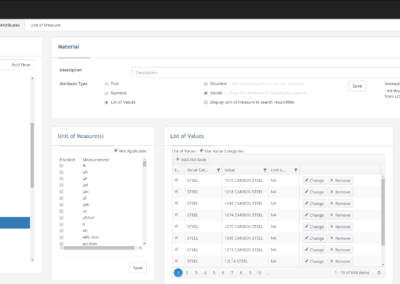 Having previously, heavily used McMaster Carr, Teamcenter Classification, and DFR among others, I defined the user requirements, built wireframes/mockups of the interfaces, and developed the typical user process flow. I performed user testing on the interfaces to ensure all requirements were met. 102,000 COTS parts were imported into the system. 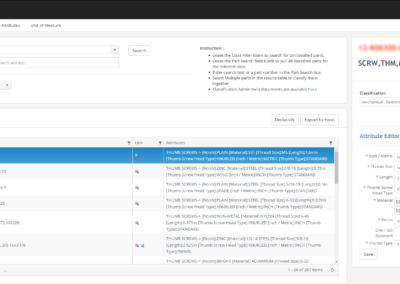 453 Classes are available for users to search. Users average 1,443 searches per month looking for parts. When performing a search, the page will autosuggest and narrow down the possible results. 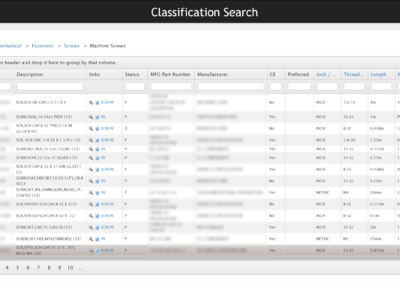 Once a class has been selected, the classification attributes are available to filter. The administrators can classify new parts as they are created. In the Admin side, you are able to add attributes, create lists of values, add units of measure, and toggle attribute properties.